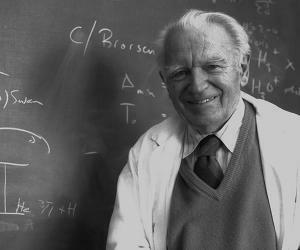 Gerhard Herzberg was a Germany-born Canadian physicist who received the Nobel Prize in Chemistry in 1971. This biography provides detailed information about his childhood, life, research career, achievements and timeline. Gerhard Herzberg was a Germany-born Canadian physicist who received the Nobel Prize in Chemistry for his pioneering work in molecular spectroscopy in which he used the absorption of light by molecules and atoms to discover their geometrical patterns and electronic structures. He was born in Germany but fled from Germany when the Nazis came to power to avoid persecution because of his Jewish wife. His wife was a spectroscopist and collaborated with him during his early experiments. He was a brilliant scientist who sometimes designed his own spectroscopic methods to explain the structures of polyatomic and diatomic molecules, free radicals and astronomical objects which was difficult to obtain by any other method. 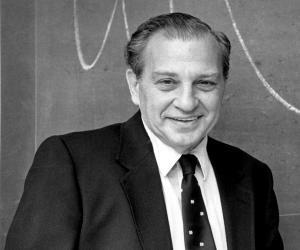 Though he was a physicist, his work was of immense value to the field of physical chemistry and quantum mechanics as they dealt with the energy states and the internal geometry of molecules. He was the first Canadian to receive the Nobel Prize. Though he was asked to retire when he reached the age of sixty-five, he refused to do so, and was promoted to Professor Emeritus. He carried on with his research work for full-time as long he was fit and healthy till the time he died. Gerhard Herzberg was born in Hamburg, Germany, on December 25, 1904. His father was Albin H. Herzberg and his mother was Ella Biber Herzberg. He had an elder brother named Walter. 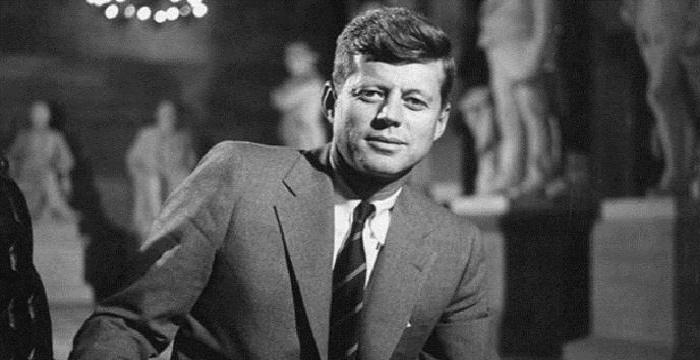 His early life was very difficult as his father died in 1915 and his mother had to immigrate to America in 1922 to work as a housekeeper there. He attended the ‘Liebig Oberrealschule’ high school in Frankfurt from 1915 to 1916. He joined the ‘Johanneum Realgymnasium’ high school in Hamburg in 1924 from where he obtained an ‘Abitur’ which was required for admission into a university. He studied at the ‘Technische Hoschule’ till 1928 with an industrial scholarship. He completed his ‘Diplom Ingenieur’ in 1927 and got his Dr.-Ing from the ‘Darmstadt University of Technology’ in 1928 with the help of a federal scholarship. 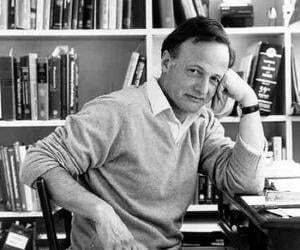 He carried out post-doctorate research at the University of Gottingen during 1928 under James Franck and Max Born. From 1928 to 1930 he did more research work at the ‘H. H. Wills Physics Laboratory’ under the ‘Bristol University, England’. In 1929 he was the first scientist to give an accurate explanation of the chemical bonding that occurred at the electron level. Gerhard Herzberg returned to Germany and joined the ‘Darmstadt University of Technology’ as a ‘Privatdozent’ or lecturer in 1930 without getting any remuneration and worked there till 1935. Financial support came through fees from lectures and from the ‘Emergency Association of German Science’. In 1935 he left Germany and moved to Canada as the Nazi regime in Germany debarred people with Jewish wives from their Universities. He joined the ‘University of Saskatchewan, Canada’ in 1935 as a Research Professor of Physics and taught there till 1945. In 1941 he became the first scientist to prove that ‘themethylidyne ions (CH+)’ were present in the interstellar clouds or the gas occupying the space between two stars. In 1945 he joined the ‘Yerkes Observatory’ under the ‘University of Chicago’ as a professor of Spectroscopy and held that post till 1948. He proved that hydrogen molecules are present in the atmosphere surrounding different planets in 1948. He returned to Canada in 1948 and served as the Director of the Physics division of the ‘National Research Council of Canada (NRCC)’ from 1948 to 1955. Herzberg was appointed the Director of the ‘Pure Physics’ department of the ‘National Research Council of Canada’ in 1955 and served in that post till 1969. He was able to obtain the spectra of the ‘Methyl radical (CH3)’ in 1956 and the spectra of the ‘Methylene radical (CH2)’ in 1959. 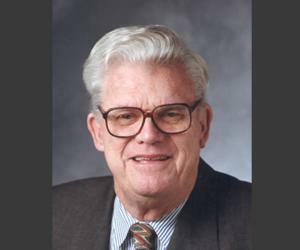 He served as the President of the ‘Canadian Association of Physicists’ from 1956 to 1957 and the Vice President of the ‘International Union of Pure and Applied Physics’ from 1957 to 1963. He also served as the President of the ‘Royal Society of Canada’ from 1966 to 1967. In 1969 he was made ‘Distinguished Research Scientist Emeritus’ and held this post till 1974. He served as the Chancellor of the ‘Carlton University’ from 1973 to 1980. He became the Director of a new research facility named the ‘Herzberg Institute of Astrophysics’ in Ottawa in 1974 where he worked till 1995. His book, ‘Atomic Spectra and Atomic Structure’ was published in 1937. His book ‘Spectra of Diatomic Molecules’ came out in 1939 while ‘Infrared and Raman Spectra of Polyatomic Molecules’ was published in 1945. 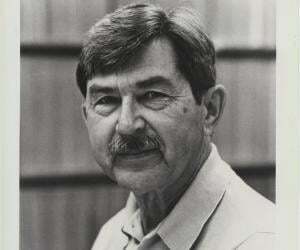 His next book ‘Electronic Spectra of Polyatomic Molecules’ was published in 1966. Gerhard Herzberg was made a member of the ‘Royal Society of Canada’ in 1939 and a ‘Foreign Member’ of the ‘Royal Society of London’ in 1951. He received the ‘Henry Marshall Tory Medal’ from the ‘Royal Society of Chemists’ in 1953. He was made a ‘Foreign Fellow’ of the ‘Indian Academy of Sciences’ in 1955. He received the ‘Frederic Ives Medal’ in 1964. He was awarded the ‘Companion of the Order of Canada’ in 1968. In 1969 he was awarded the ‘Willard Gibbs medal’ by ASC and was also made a ‘Distinguished Research Scientist’ at NRCC. In 1970 he received the ‘Faraday Medal’ from the ‘Chemical Society of London’. He received the Nobel Prize in Chemistry in 1971. In 1971 he also received the ‘Royal Medal’ from the ‘Royal Society of London’. He was made a ‘Foreign Member’ of the ‘Indian National Science Academy’ in 1974. In 1992 he was made a member of the ‘Queen’s Privy Council for Canada’ which equivalent to the British title. He started to be addressed as Honorable Gerhard Herzberg from then on. Herzberg was made a ‘Foreign Member’ of the ‘American Academy of Arts and Sciences’, the ‘Optical Society of America’ and the ‘Pontifical Academy of Sciences’ and also a ‘Foreign Associate’ of the ‘National Academy of Sciences’. He was made a member of the ‘International Academy of Quantum Molecular Science’. The ‘Hertzberg Institute of Astrophysics’ in Ottawa has been named after him. The ‘Gerhard Herzberg Canada Gold Medal for Science and Engineering’ offered to brilliant scientists by the ‘Natural Sciences and Engineering Research Council’ was started in his honor from 2000 onwards. An asteroid has also been named after him which is called ‘3316 Herzberg’. He married Luise Oettinger, a Jew spectroscopist, on December 30, 1929. He had had a son named Paul Albin and a daughter named Agnes Margaret from this marriage. He married Monika Elisabeth Tenthoff on March 21, 1972 after his first wife died in 1971 a few months before he received the Nobel Prize. He had a daughter named Luise from this marriage. 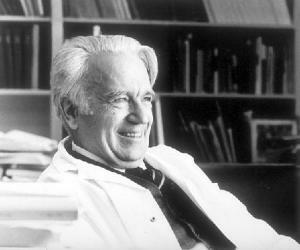 Gerhard Herzberg died of illness in Ottawa, Ontario, Canada on March 3, 1999.